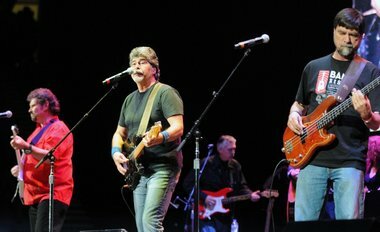 Earlier this year, as the Alabama band was finalizing its deal with a new management company, Randy Owen and his colleagues made an unusual request. "The first thing we charged our new team with was putting on a free concert in Birmingham," Owen said. Lead singer Owen, guitarist Jeff Cook and bassist Teddy Gentry made it clear to Red Light Management that free meant free. The famous country group from Fort Payne wouldn’t receive any money for its services. Folks at the management firm, musicians, agents, promoters, crew members — nearly everyone involved with the event — would have to donate their time and skills to make the show a major success.